Email me at jrunyan32@gmail.com for different options for templates. See one option below! 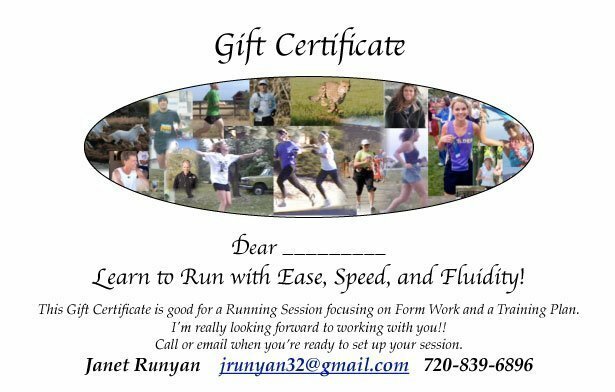 I’ll be glad to customize with a picture of them running or whatever you’d like to help make the gift special! Buy a 3 pack for $135.00 (discounted from $150.00), and give at least one of those sessions to someone as a gift. It’s a great stocking stuffer as well as something you can put under the tree. Also, if you want to buy a bigger package, just let me know.